Our famous Central Europe Beach Volleyball Tournament, the Vienna Beach Trophy, will take place from August 19 to 21, playing on Saturday 20. Registration ist already closed. Still wanna play? Write us vbt2016@aufschlag.org and ask, maybe it’s still possible. 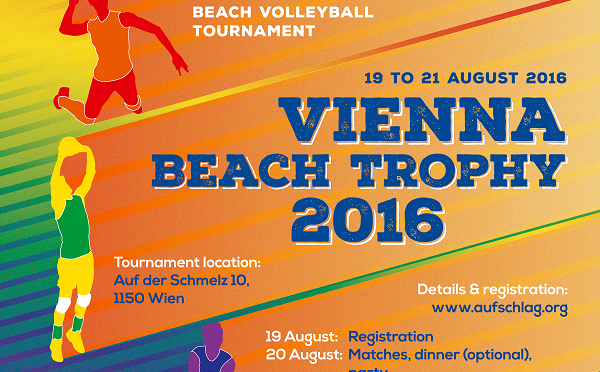 If you have any questions about this tournament or the registration, please mail to vbt2016@aufschlag.org.